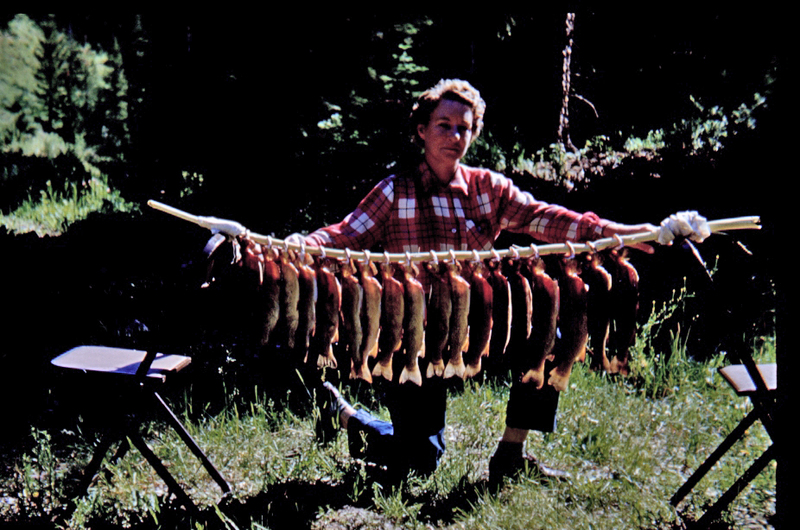 Fisher women Lerona Shaw Hadley. 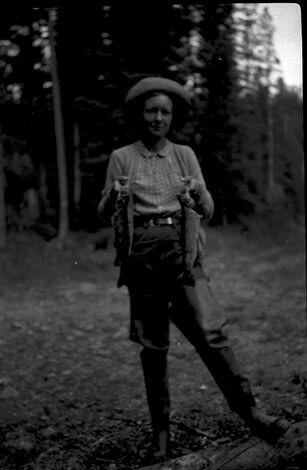 Lerona Hadley with string of fish. 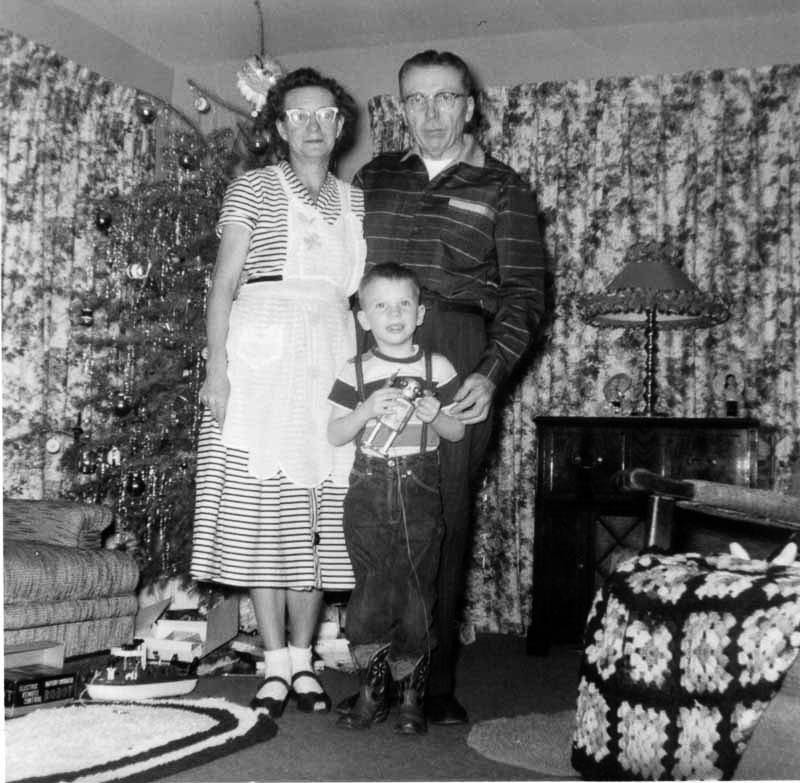 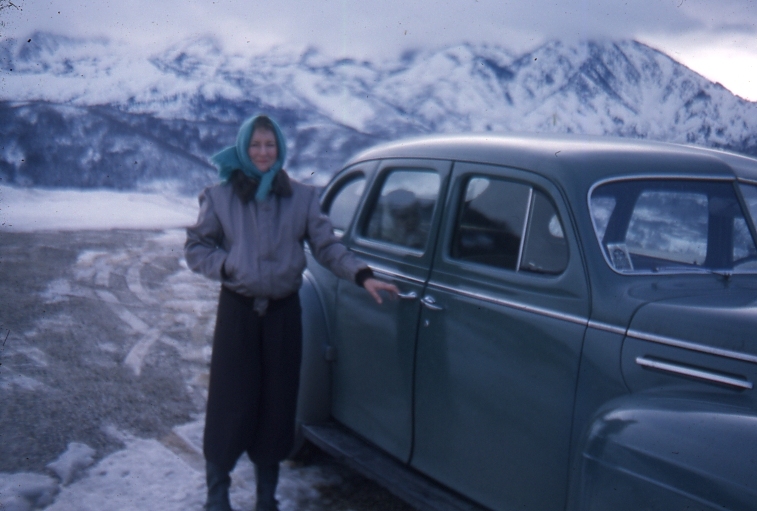 Cotton Wood Canyon, Star Valley Wyoming circa 1955. 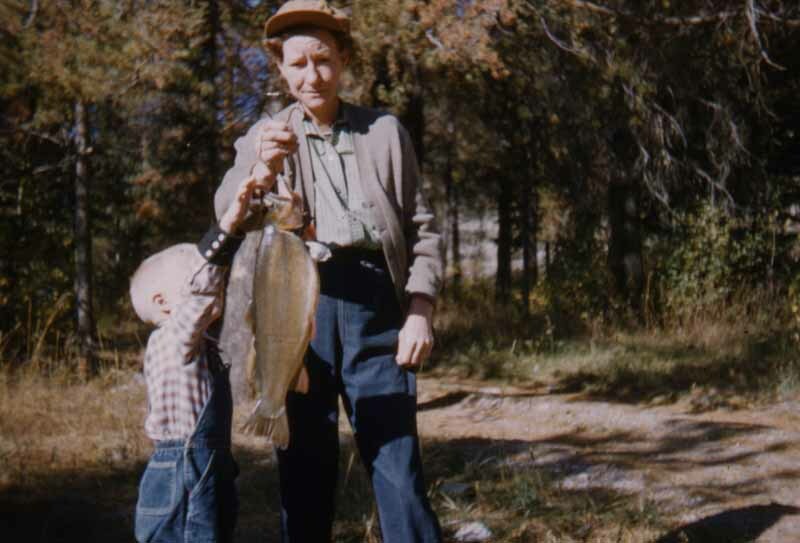 Lerona S. Hadley with fish she caught. 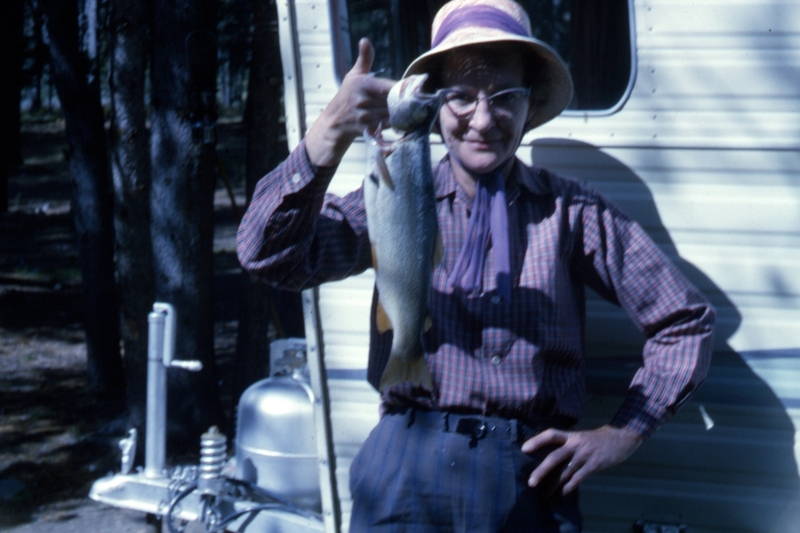 Lerona with fish she caught by their Siesta trailer. 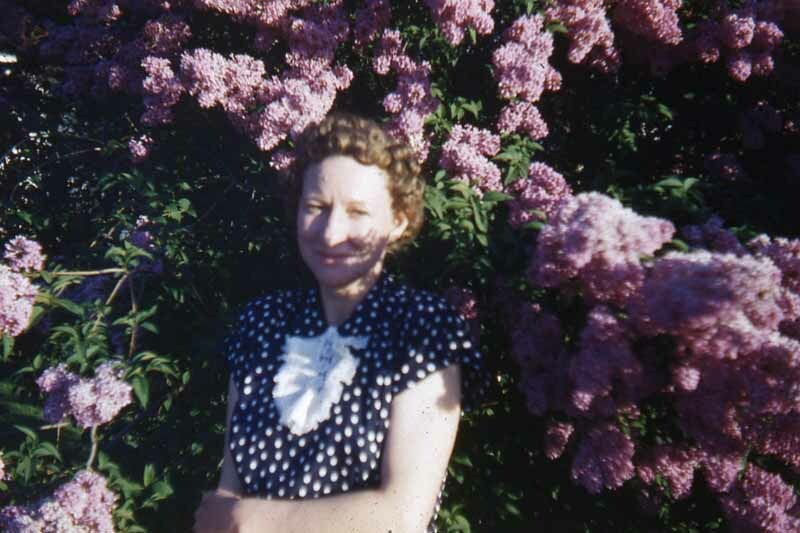 circa 1957.